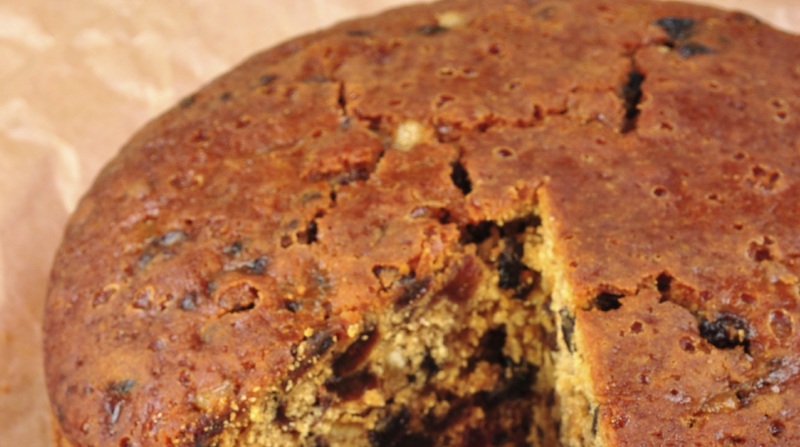 This Christmas cake is ideal for those who need to watch their intake of sugar or nuts, whether due to diabetes or nut allergy, or even as a lower-calorie option of the traditional fruit cake. It is also made with wholemeal flour, which will go down well with those of you who avoid refined white flour. Line a 20 cm dish with baking paper. Combine all the ingredients together leaving the flour to go in last. Pour the batter into a cake dish. Bake for an hour and 15 minutes. Use a skewer to pierce the cake and pour two spoons of a liquor of your choice. Preferably keep this cake in the fridge and moisten with more liquor every few days.